Lupine color the sides of the Borrego Valley in spring. Heavy winter rains led to a historic springtime bloom in 2005, carpeting the entire desert in vegetation and color for months. 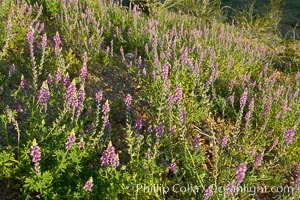 Arizona lupine, Lupinus arizonicus Photo. Lupine color the sides of the Borrego Valley in spring. Heavy winter rains led to a historic springtime bloom in 2005, carpeting the entire desert in vegetation and color for months. 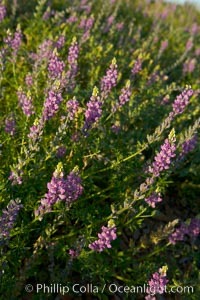 Arizona lupine, Lupinus arizonicus Picture. Arizona lupine is a common early spring ephemeral wildflower of the Colorado Desert. The purple-pink flowers show a yellow spot on the upper petal, which changes in color to red once the flower has been pollinated to discourage insects from visiting it after pollination. This photo shows both red and yellow petals. Anza Borrego Desert State Park. 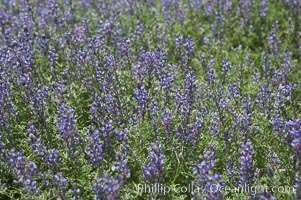 Stock Photography of Arizona lupine, Lupinus arizonicus. Lupine color the floor of the Borrego Valley in spring. Heavy winter rains led to a historic springtime bloom in 2005, carpeting the entire desert in vegetation and color for months. 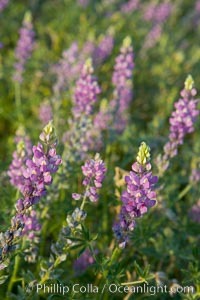 Photograph of Arizona lupine, Lupinus arizonicus. 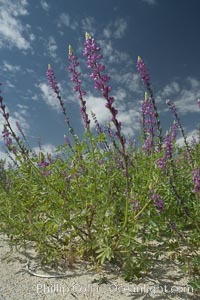 Lupine color the floor of the Borrego Valley in spring. Heavy winter rains led to a historic springtime bloom in 2005, carpeting the entire desert in vegetation and color for months. Arizona lupine, Lupinus arizonicus Photos. 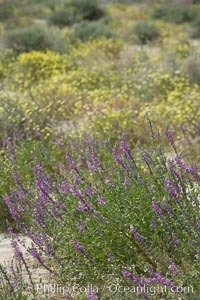 Lupine color the floor of the Borrego Valley in spring. Heavy winter rains led to a historic springtime bloom in 2005, carpeting the entire desert in vegetation and color for months. 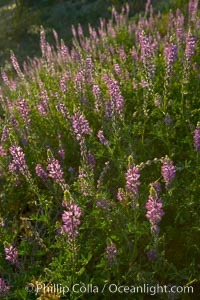 Arizona lupine, Lupinus arizonicus Image. 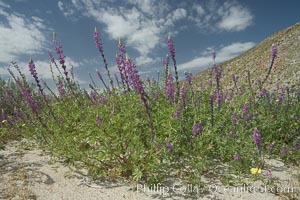 Lupine color the floor of the Borrego Valley in spring. Heavy winter rains led to a historic springtime bloom in 2005, carpeting the entire desert in vegetation and color for months. 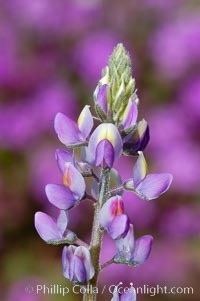 Professional stock photos of Arizona lupine, Lupinus arizonicus. Lupine color the sides of the Borrego Valley in spring. Heavy winter rains led to a historic springtime bloom in 2005, carpeting the entire desert in vegetation and color for months. 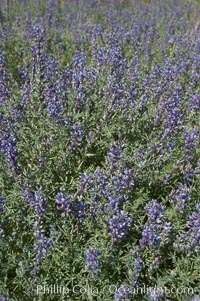 Pictures of Arizona lupine, Lupinus arizonicus. Lupine color the sides of the Borrego Valley in spring. Heavy winter rains led to a historic springtime bloom in 2005, carpeting the entire desert in vegetation and color for months. 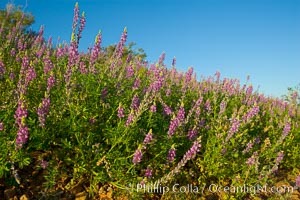 Stock Photography of Arizona lupine, Lupinus arizonicus. 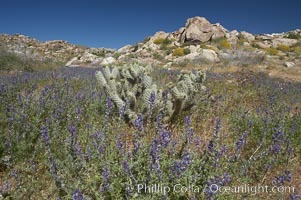 Arizona lupine blooms in spring in the hills above Anza-Borrego Desert State Park, Montezuma Drive. 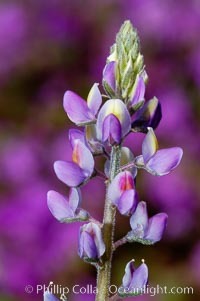 Photograph of Arizona lupine, Lupinus arizonicus. 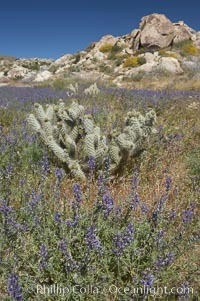 Arizona lupine blooms in spring in the hills above Anza-Borrego Desert State Park, Montezuma Drive. Arizona lupine, Lupinus arizonicus Photos. Arizona lupine blooms in spring in the hills above Anza-Borrego Desert State Park, Montezuma Drive. 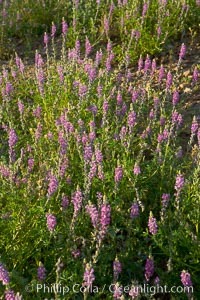 Arizona lupine, Lupinus arizonicus Image. Arizona lupine blooms in spring in the hills above Anza-Borrego Desert State Park, Montezuma Drive. Professional stock photos of Arizona lupine, Lupinus arizonicus. Arizona lupine blooms in spring in the hills above Anza-Borrego Desert State Park, Montezuma Drive. 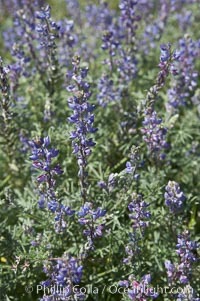 Pictures of Arizona lupine, Lupinus arizonicus. Arizona lupine blooms in spring in the hills above Anza-Borrego Desert State Park, Montezuma Drive. 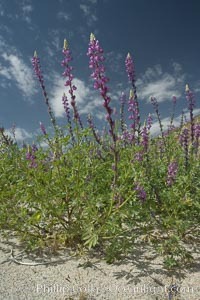 Arizona lupine, Lupinus arizonicus Photo. Arizona lupine is a common early spring ephemeral wildflower of the Colorado Desert. The purple-pink flowers show a yellow spot on the upper petal, which changes in color to red once the flower has been pollinated to discourage insects from visiting it after pollination. This photo shows both red and yellow petals. Anza Borrego Desert State Park. 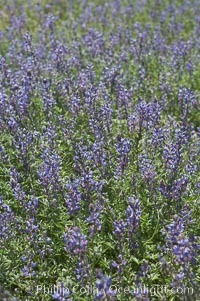 Arizona lupine, Lupinus arizonicus Picture.